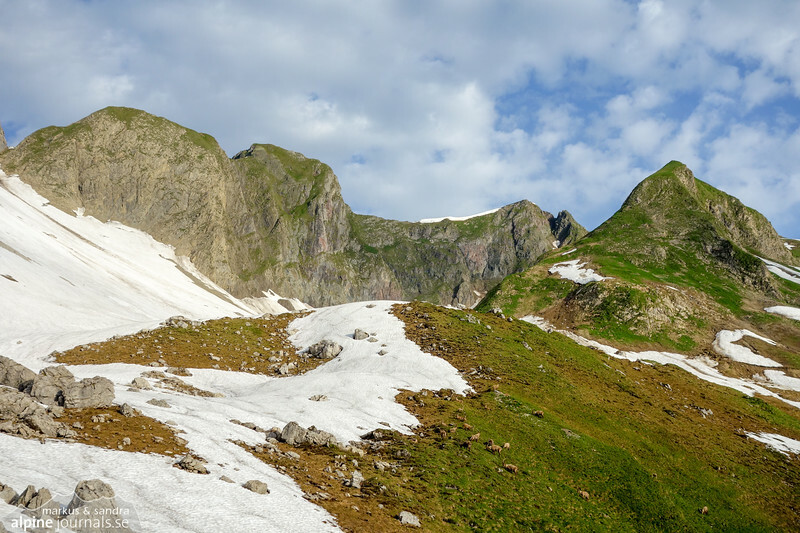 This alpine route faces north east, towering over the lonely upper Wildental where a herd of alpine ibex resides. 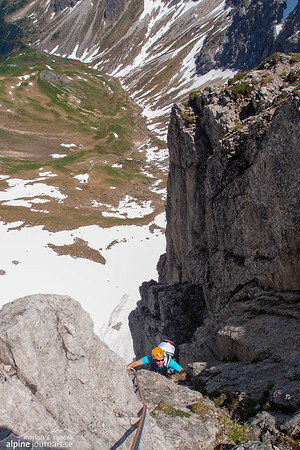 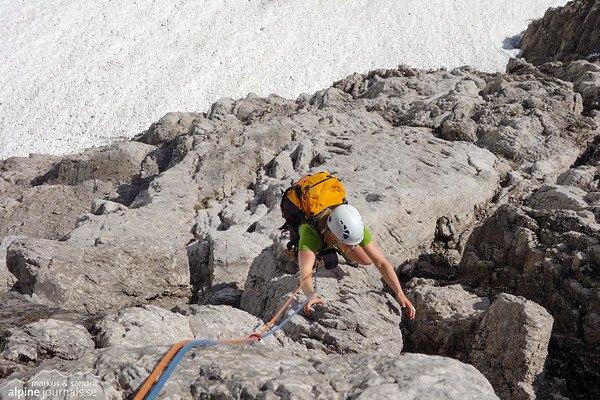 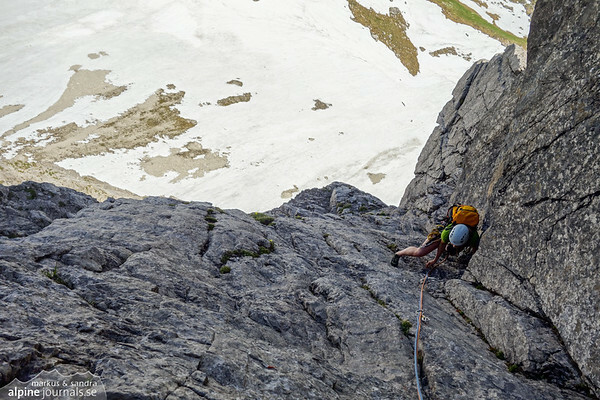 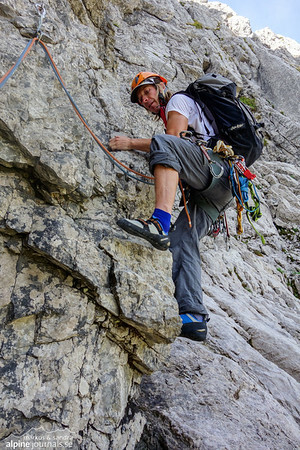 It offers not only shade from the summer sun, but notably solid limestone in a consistent grade up to 6- over seven pitches. 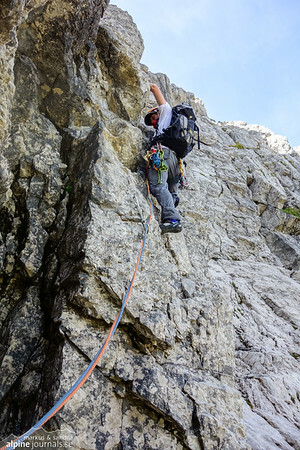 There are a few sections with loose scree, but relative to the generally loose Allgäu rock this is a remarkably solid and well bolted jewel. 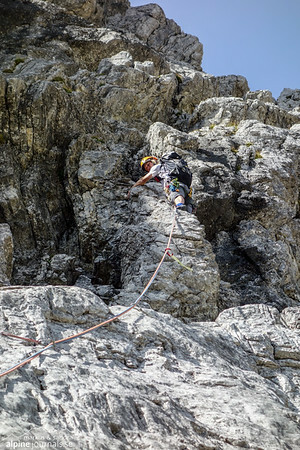 Yet loneliness is almost guaranteeed; as of Autumn-2017, the route log book still hasn't been replaced since the first ascent by Josef Schafnitzel and Stephan Baur in 2003! 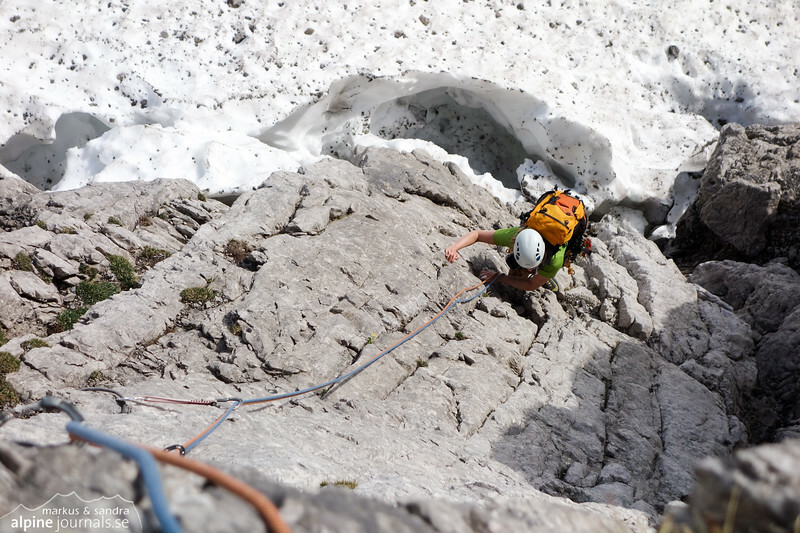 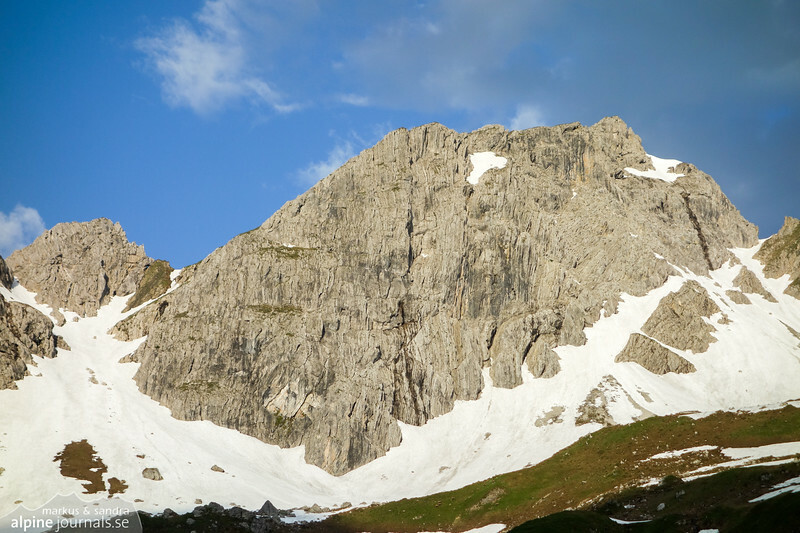 The photos with snow at the foot of Liechlkopf is from June 20, 2013. 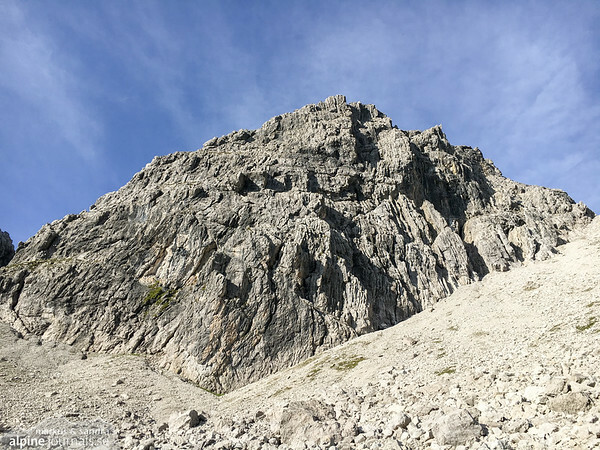 The second set of photos is from August 30, 2017. 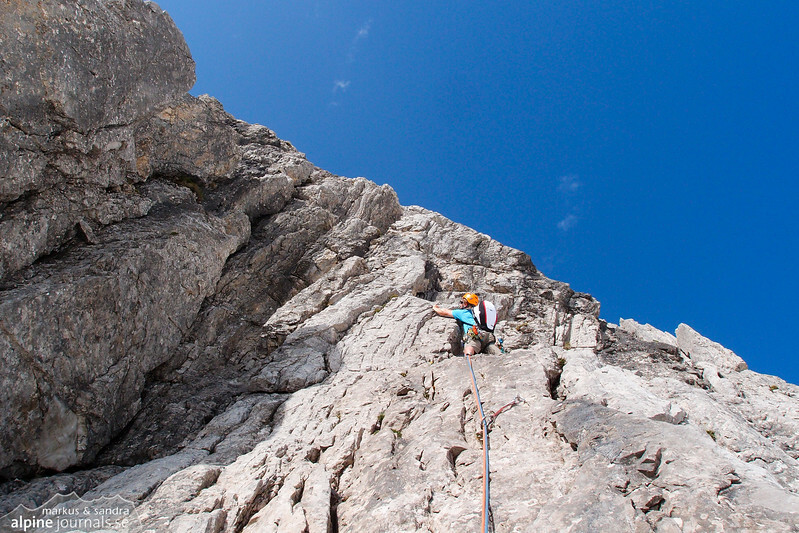 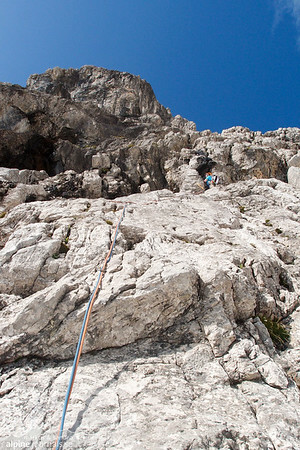 Since our first climb, a new belay stand has been set up above the "Sanduhr" on the 55 meter pitch 2 (Allgäu, Panico Verlag, 2010). 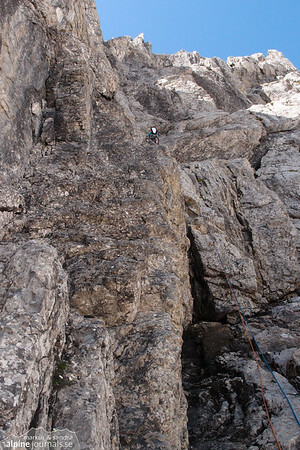 The route goes just to the right of the dark line in the middle. 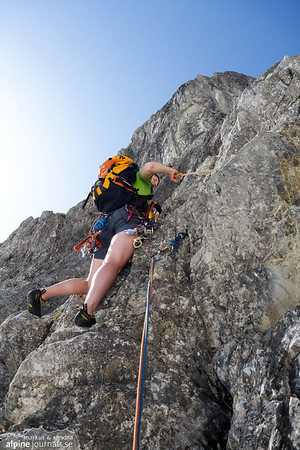 Climbing d'r Lugabeitl at Liechlkopf, Kleinwalsertal. 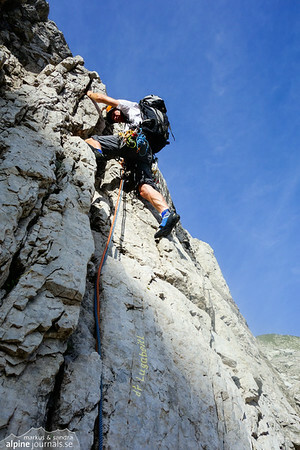 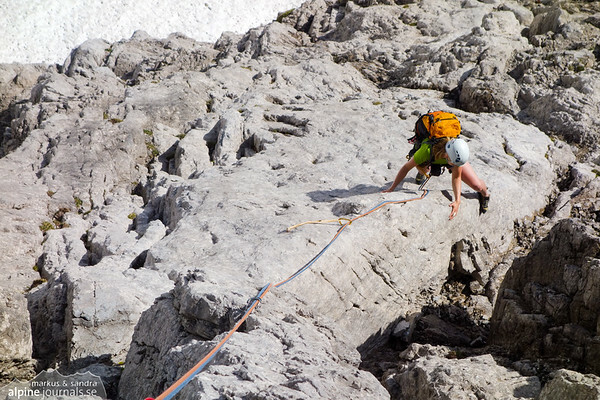 This is the 6th pitch (VI-). 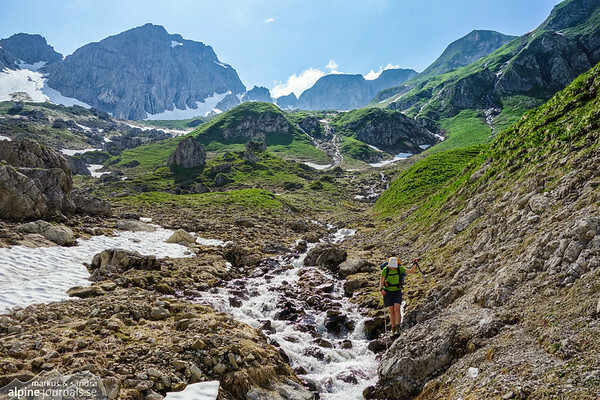 Enjoying the pristine wilderness on the way down. 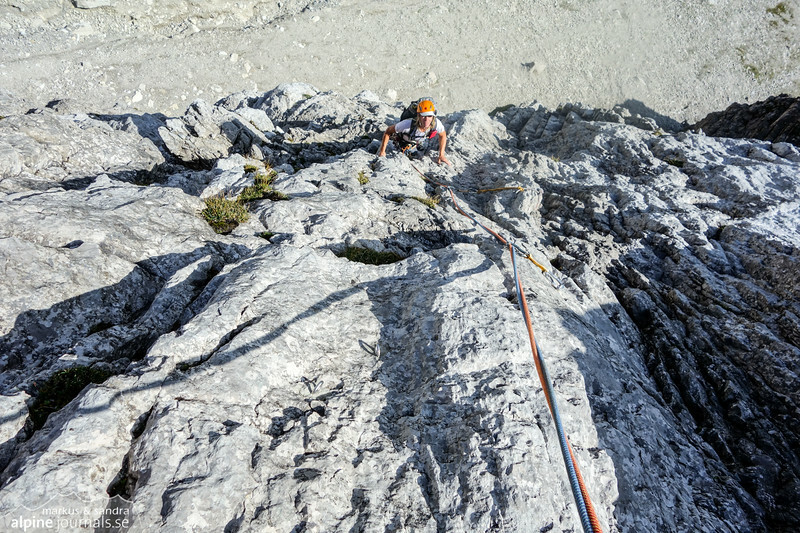 1st pitch of d'r Lugabeitl on steep good rock (27 m). 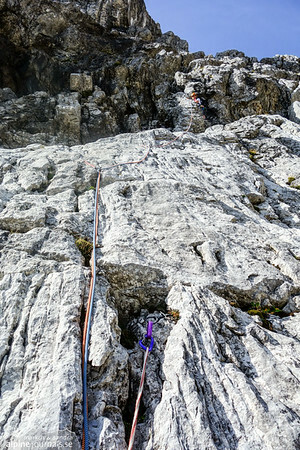 Pitch 3 after the slab. 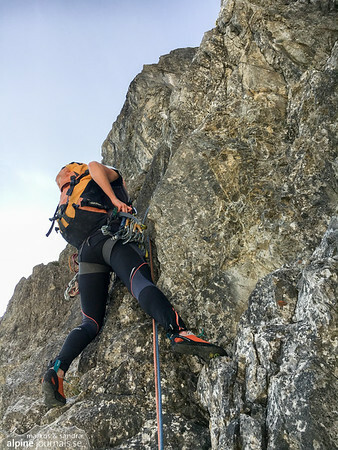 Sandra starting the lead on pitch 4 (5+, 30m). 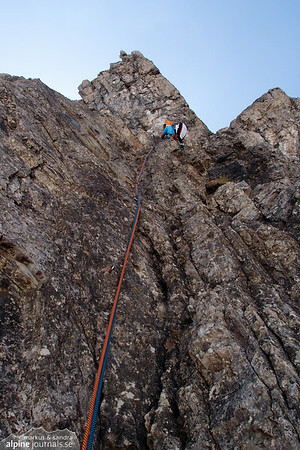 Pitch 5, 46 m, 4+ over 5- to 5, often rather steep.